H.323 uses a single fixed TCP port (1720) to start a call using the H.225 protocol (defined by H.323 spec) for call control. Once that protocol is complete, it then uses a dynamic TCP port for the H.245 protocol (also defined by the H.323 spec) for caps and channel control. Finally, it opens up 2 dynamic UDP ports for each type of media that was negotiated for the call (audio, video, far-end camera control). This first port carries the RTP protocol data (defined by the H.225 spec) and the second one carries the RTCP data (defined by the H.225 spec). As per TCP/IP standards, ports are divided into 3 sections: 0-1023 (privileged ports), 1024-49151 (registered ports) and 49152-65535 (dynamic ports). H.323 specifies the dynamic ports in the dynamic range are open. Polycom has added a feature to its product line that allows the ports to use a fixed ports (instead of dynamic ports) so that it can more easily traverse a firewall. Only the system behind the firewall need to turn on this feature, since the firewall will prevent the audio/video/FECC from the outside to come in unless this is enabled. You must forward the traffic to and from the video endpoint through the firewall using the specified port numbers and protocol types for outgoing calls. To receive incoming calls, your must forward traffic using the 1720 TCP port. So, a typical H.323 call would use 2 TCP fixed ports (3230-3231) and 6 UDP fixed ports (3230-3235) during the call. Forward port 1720 TCP to the private IP of the LifeSize system. Forward 2 TCP ports 60,000 and 60,001 to the private IP of the LifeSize system. If you have other services on these ports, you can forward any other 2 TCP ports in the 60,000 – 64,999 range. Forward 6 UDP ports 60,000 to 60,007 to the private IP of the LifeSize system. If you have other services on these ports, you can forward any other 8 UDP ports in the 60,000 – 64,999 range. Enable Static NAT, and enter the public IP address of the firewall in the "NAT Public IP Address"
Go to System Menu –> Administrator Preferences –> Network –> Reserved Ports. Enter the TCP & UDP port range you chose in the steps above. "In order to properly support a NAT configuration, the firewall will need to be configured as a one-to-one relationship between a public IP address and the private IP address for all ports in the H.323 range (which include 1718 UDP, 1719 UDP and 1720 TCP as well as other vendor-specific TCP and UDP ports needed to complete H.323 calls). For the specific range needed, consult your endpoint manufacturer." GMS listens for connections on ports 80 and 3601 (GAB) and in the future will listen on port 3604 (ViaVideo) and other potentials later. These ports can be set to "Fixed Ports" on Polycom systems, as opposed to dynamic. 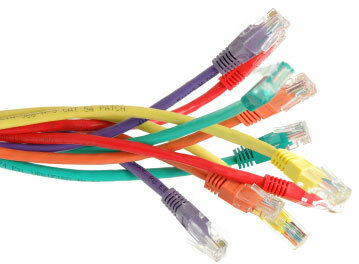 The port 1720 (TCP) and the 6 ports 15328-15333 (TCP and UDP) need to be forwarded. d-Link indicates that NetMeeting and the H.323 cannot co-exist behind the same router simultaneously.